Preparing for a trade show is not an easy task. It costs your company money, time, and manpower. The last thing you want is to get to the show, your salespeople ready to sign on some new leads, only for it to be a flop. Maybe your booth did not quite catch the eyes of the audience. Maybe your competitors’ booths out scaled your own. Whichever the reason, you want to make sure this does not happen to you at your next show. In this article, we will cover our five key strategies to follow to ensure your next trade show gives your company a boost in earnings. We will cover the importance of your trade show booth design, proper planning, and goal setting, as well as go over some lesser known but well-established tactics. The root of any successful plan, whether in marketing or anywhere else, begins with a list of goals. Your first priority should be determining your company’s trade show goals. These goals will be different for every business. For instance, your goal may be to highlight a new products line, to build a list of new leads for your salespeople, or to make a compilation of new business contacts. 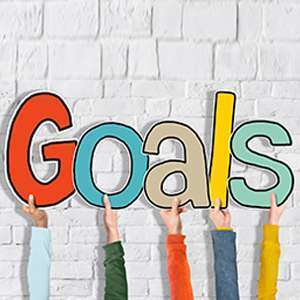 You want to make sure you know your goals as every facet of your planning will be centered around them. Behind every success story lies a well formulated plan. 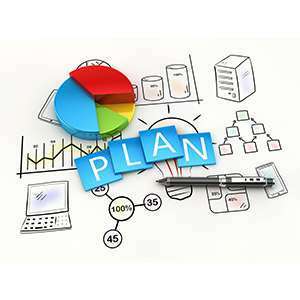 The planning process is perhaps the most important part of your strategy. Whether you are coming up with a script for your salespeople or deciding on trade show exhibit rentals, you want to give your company time to properly plan. A rushed plan is a bad plan. Set aside a month or even more to plan your show so that you do not miss any of the important details. Before anyone in the audience has a chance to meet your salespeople, the first thing they will see is your booth. These people will decide whether or not they will approach you based on how you present yourself. In order to get people to visit you, you want a trade show booth design that is inviting and exciting. To do this, you want a booth that is a good size and very open. Closed off booths or ones with too much obstruction make it harder for people to come and go, especially large crowds, which makes them less likely to visit. This sounds easier said than done, but with adequate time and resources, your company can acquire a knock out booth. If you are new to these kind of events, we recommend hiring a professional designer or using trade show exhibit rentals. The experts behind these rentals have years of experience designing booths and can help you find one that is right for your business. Having a great trade show booth design can go a long way when it comes to showcasing your products and garnering new leads, but if your booth is in a bad spot then chances are you will not attract much of a following. So, how do you make sure your business gets a good spot at the show? To start, you will have to register with the event administrators. Then you can reserve whatever open spots are available, but for a price. Areas that the audience will be in the most will generally be more expensive to reserve, but when it comes to drawing in the masses, nothing beats a high traffic area. All you will need to know is the dimensions of your booth. If you went with trade show exhibit rentals, then they should be able to tell you the dimensions ahead of time. You may think the hard part is over once the show ends, but in reality, your work is far from done. Chances are you have a list of names and numbers or emails of potential leads, and you need a plan with what to do with them. Statistics have shown that the longer you wait to reach out to these leads after the show, the less likely it becomes to sign them on. To maximize efficiency, have your salespeople ready to contact these leads as soon after the show as possible.